Why Is Memory Foam So Expensive? You have been looking around online for a new memory foam mattress, but you keep running into one hurdle: they are all so expensive. Why is this? Why is memory foam so expensive? This is what we are going to take a look at today to answer this questions once and for all. Do Traditional Mattresses Have Any Advantages Over Memory Foam? Can I Find Cheap Memory Foam Mattresses? This may not be a groundbreaking revelation, but people really do not like the idea of sleeping on a used mattress. Much like buying used undergarments or socks, this idea just kind of skeeves people out. Because of this, there isn’t a real demand for used mattresses – this means that people have to buy new mattresses whenever they are in the market. This need for new mattresses (and lack of a used market) drives prices up. Looking at a $1000+ memory foam mattress may seem costly in the short term, but premium memory foam mattresses tend to last for a long time. In this case, a long time can be ten years or more before they start sagging or need to be replaced. Some memory foam mattresses may even last twenty years if they are taken care of. If you look at the actual per day cost for a high-quality memory foam mattress, it really isn’t that expensive. For example, if a memory mattress lasts ten years and costs you $1000, it only costs you 27 cents per night to sleep on. Not that bad when you really think about it. Memory foam mattresses, at least the more expensive ones made in the US, have high-quality control standards, which translates into a more expensive product. However, this is actually a good thing because it means there is strict regulation when it comes to what can actually be put in a memory foam mattress. This means that they lack nasty chemicals and have less off-gassing, but it also means that it is more costly to produce these high-end materials. 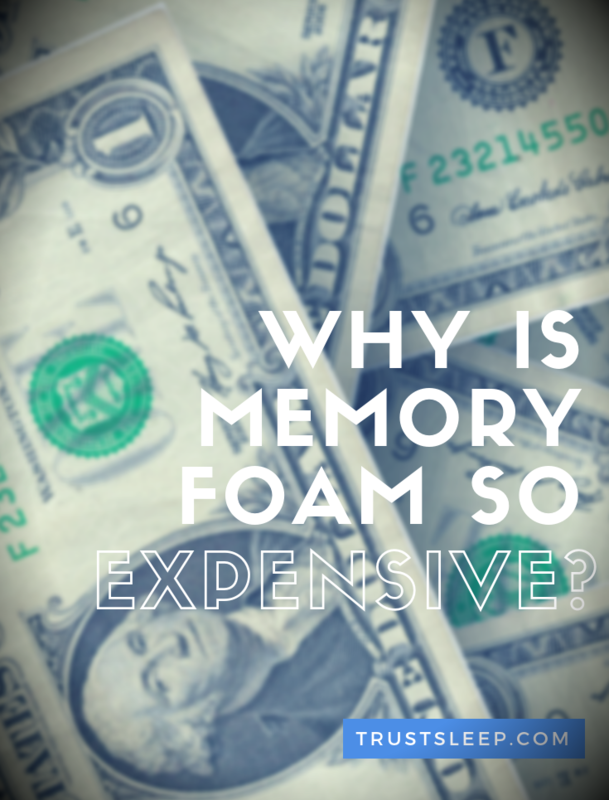 It can be tempting to turn to lower cost foreign memory foam producers, but in many cases, it is difficult to know if they have cut corners or are using materials that are worse for you. As compared to the low end, knock-off versions, high-end memory foam is much more durable. This means that in addition to lasting longer, they retain their form for a much longer duration. If you have ever slept on a memory foam mattress you have experienced the “sink” sensation – eventually, all memory foam mattresses start to lose their form and start to sink. However, the crucial difference here is that a high-end memory foam mattress will start to sink after ten years or so. A low-quality memory foam mattress might start to sink within a few years. This is part of the reason why quality memory foam is expensive. 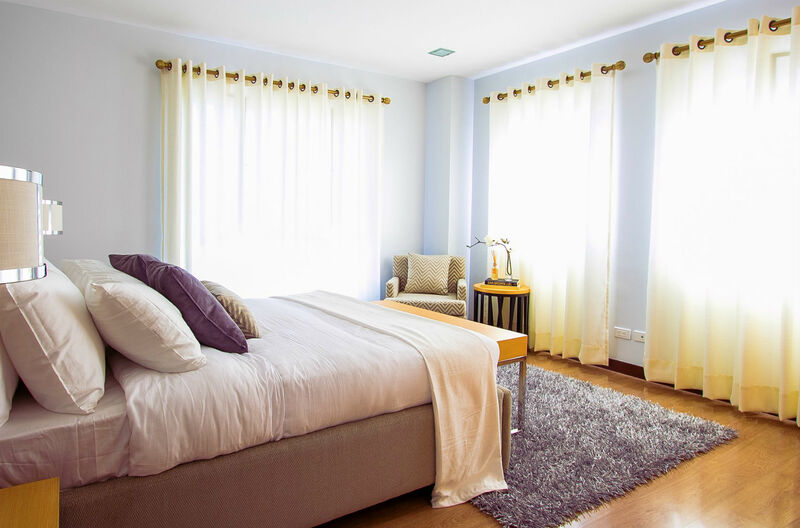 Most people don’t really think about their mattress until it is time to replace it, and a quality mattress is absolutely a necessity for every person. 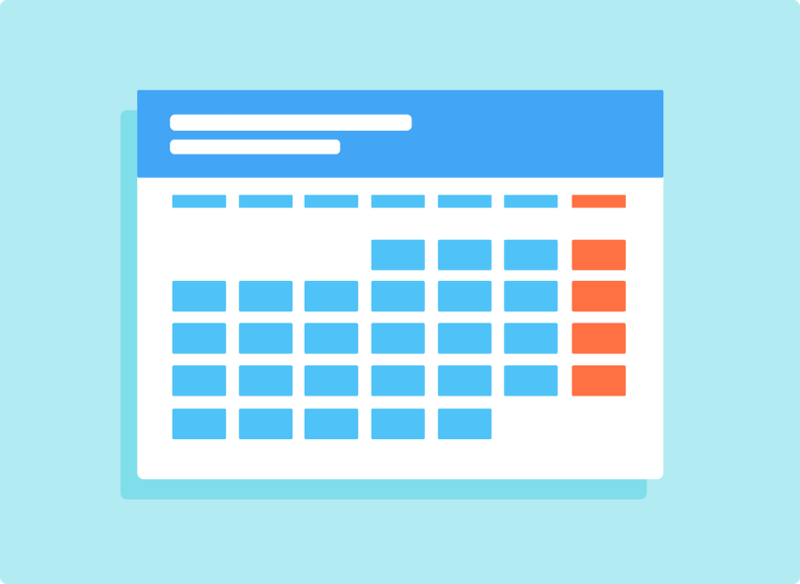 This is in contrast to shopping or other big purchases such as a new apartment, home, or even car, where oftentimes the person shopping has time to compare and contrast their options. When a mattress goes, you absolutely need to replace it and replace it fast. Because of this urgency, mattress producers can charge a higher price for their products. Memory foam mattresses do things that traditional spring mattresses just can’t do, and this leads to it being a more expensive and premium product. For example, memory foam does a tremendous job with weight distribution and isolating motion, which means that if you are sleeping with a partner, they won’t necessarily feel you moving around if you tend to move a lot while sleeping. Additionally, one of memory foam mattresses’ biggest advantages is its ability to conform to your precise body shape. This provides a whole host of benefits, and it is something that traditional mattresses just can’t do. Because of this, it is something that manufacturers can charge a premium for. 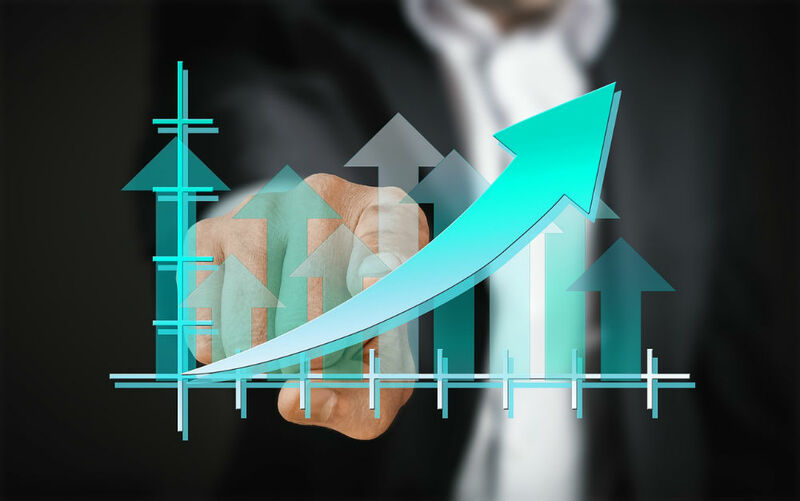 Although historically memory foam mattresses have been quite expensive, there has been a recent surge of new, relatively low-cost memory foam mattress providers available through direct order on the internet. This phenomenon has caused a lot of disruption in the mattress industry, and the verdict is still out on which companies will survive. If you decide to go this route, make sure you do extensive research and try and find the best mattress available. We do not recommend buying solely for price – look for a quality product that will serve you for many years to come. Yes, believe it or not, traditional mattresses do have a couple advantages over traditional memory foam. The first benefit is that, as we have discussed throughout this article, memory foam is expensive. Traditional spring mattresses can be found at a much lower cost. Just keep in mind that if you purchase a low-cost spring mattress it probably won’t last longer than a few years. The second advantage is a surprising one – traditional mattresses do a better job of heat regulation in many situations. This is because memory foam mattresses can actually retain large amounts of heat, and this can lead to the person sleeping in them to overheat sometimes. 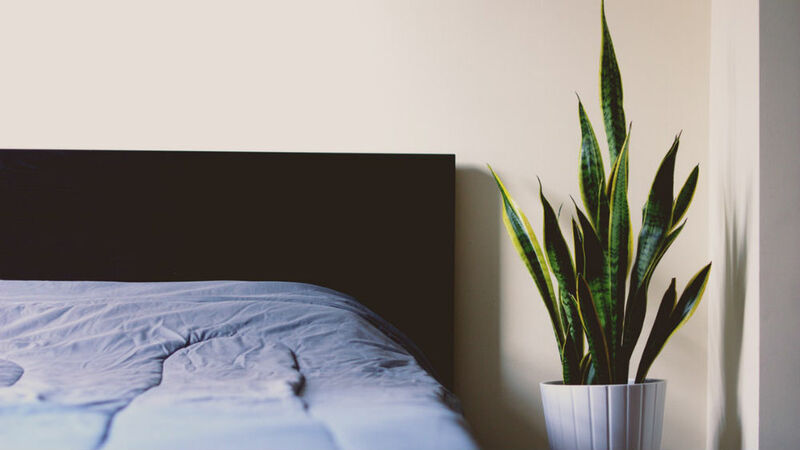 Gel-infused memory foam mattresses actually help solve this problem by drawing away heat while you sleep, but they tend to be even more costly than traditional memory foam mattresses. As with most things in life, there is no perfect solution – draw your own conclusions about what is best for you and your own needs. 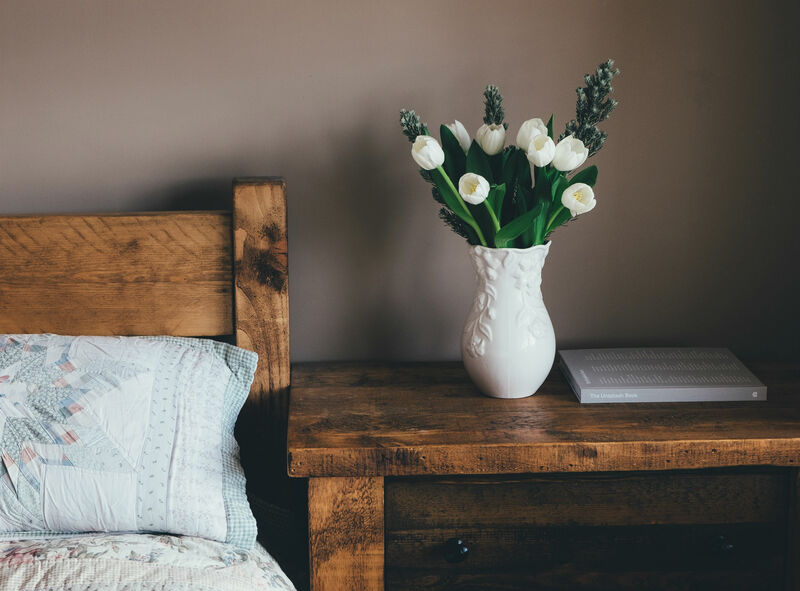 Yes, you can find low-cost memory foam mattresses – and in many cases, we still recommend these over a similarly priced box spring mattresses. However, you need to have realistic expectations – a low-cost memory foam mattress is oftentimes not going to be as dense or as comfortable as a premium one. Additionally, low-cost memory foam manufacturers may just use a spring mattress base with a layer of memory foam on top. This can still be comfortable, but not nearly as much as high-quality memory foam mattresses. As you can see, there are actually a lot of valid reasons why memory foam mattresses are so expensive. However, we hope that you now see that in most instances, the premium cost is actually valid. We hope you have found this guide useful. If you have any comments or questions, feel free to leave them in the comments section below.